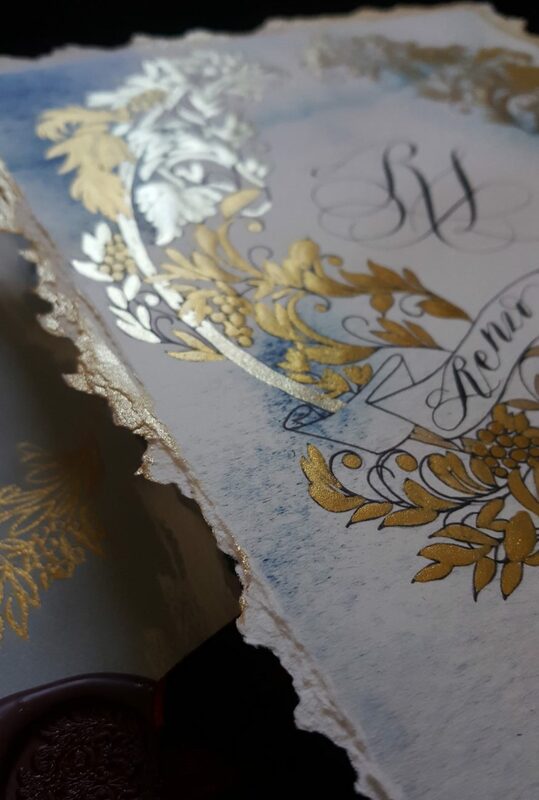 Introducing this Italian Themed Wedding Invitations suite with a unique mix of rich tarnished gold, light and airy blues. 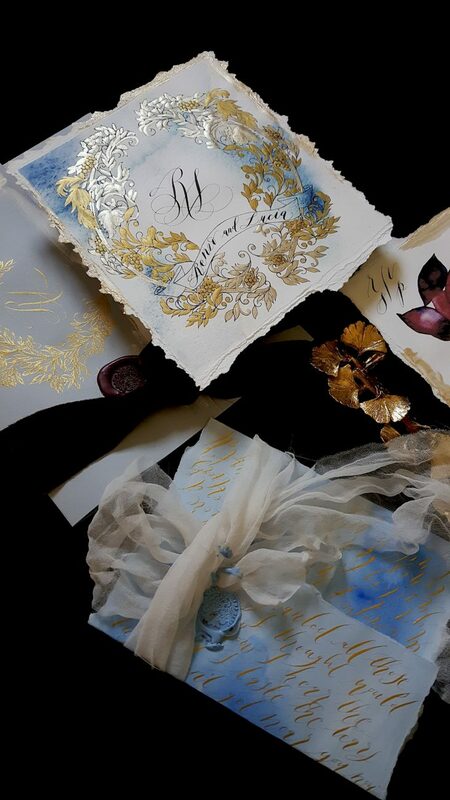 This classical yet opulent hand painted wedding stationery suite is the perfect design for a luxury destination wedding in Italy with an all important contemporary twist. 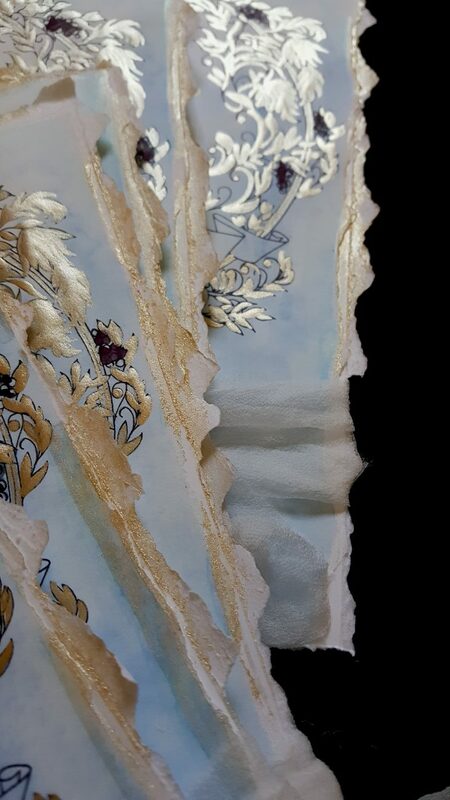 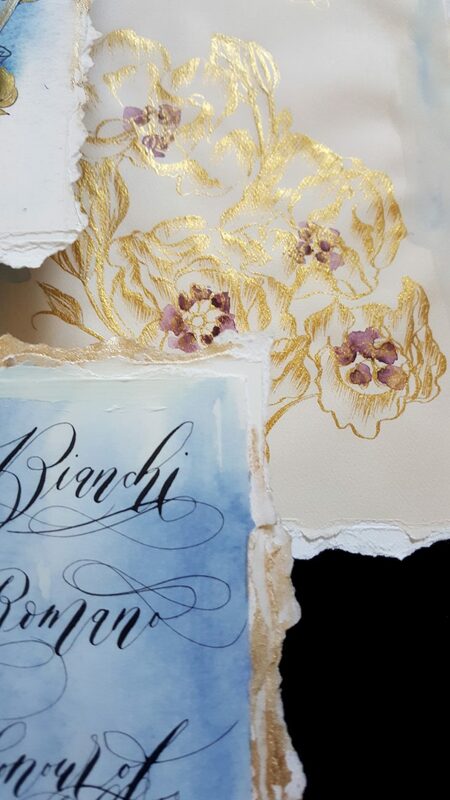 Deeply influenced by the intricacy of antique details, nostalgic mood and extremely romantic vision of a love story in a dream. 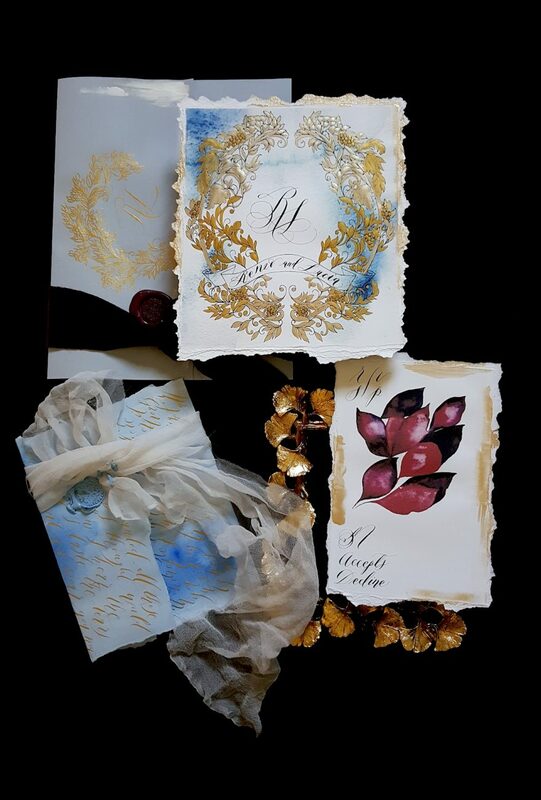 With the setting being in the stunning countryside of Tuscany, Italy, it was essential to capture the refined essence of Italy and create Italian themed wedding invitations that were luxurious, elegant and yet soft. 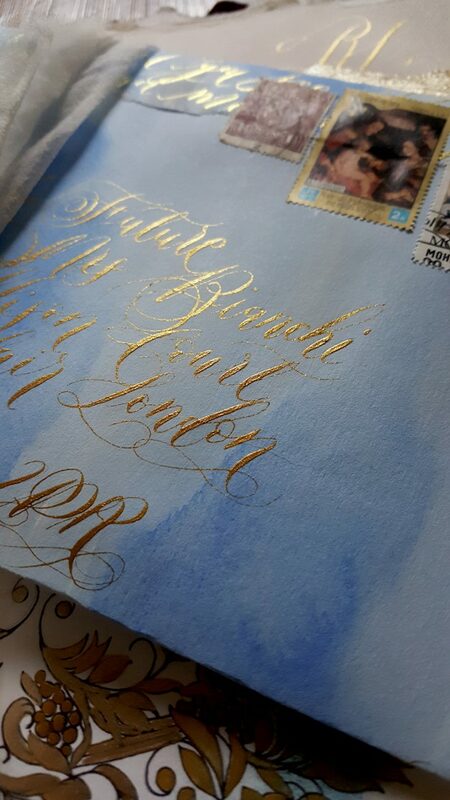 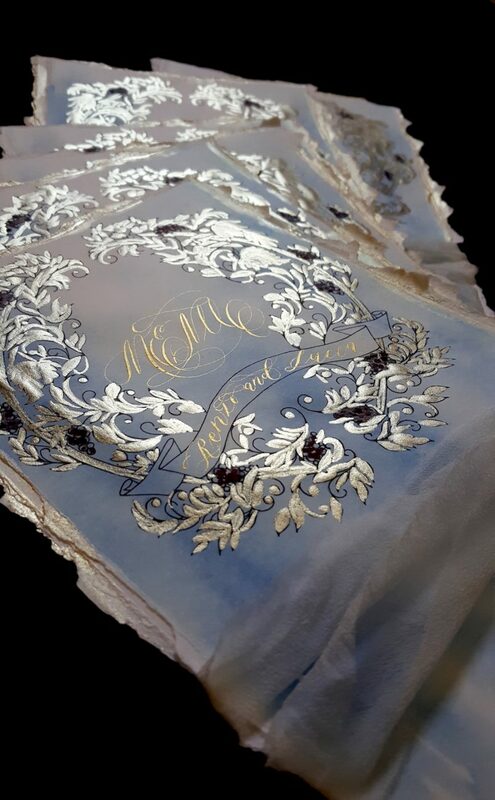 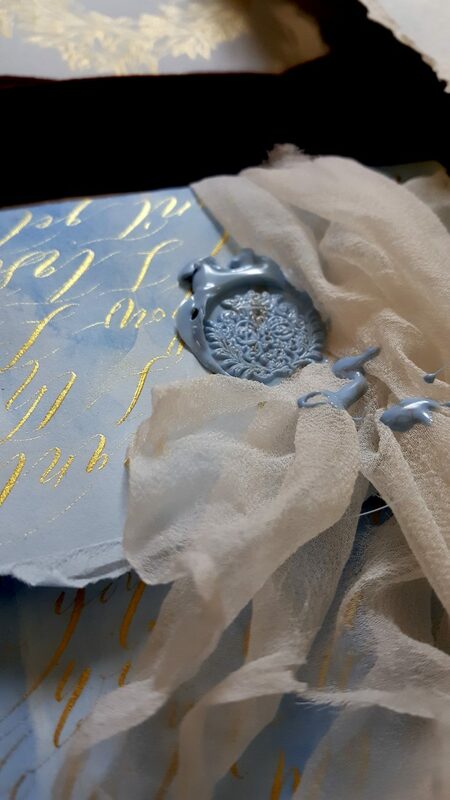 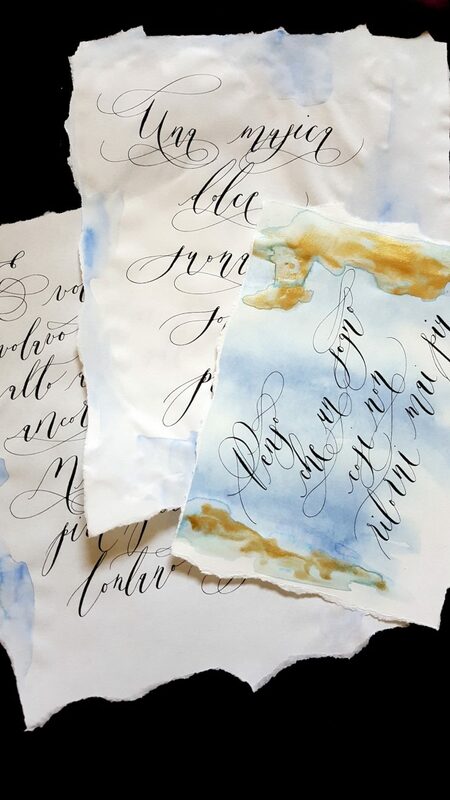 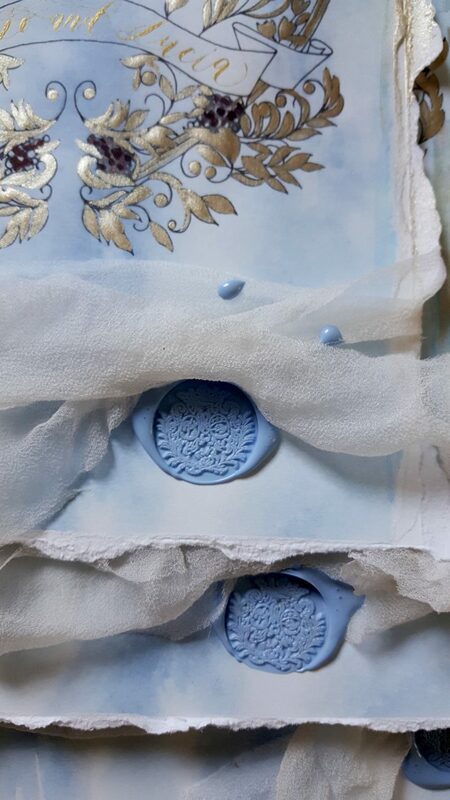 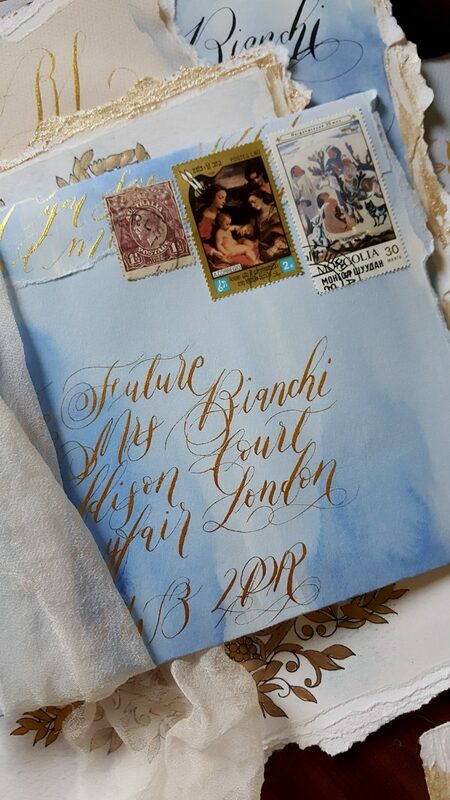 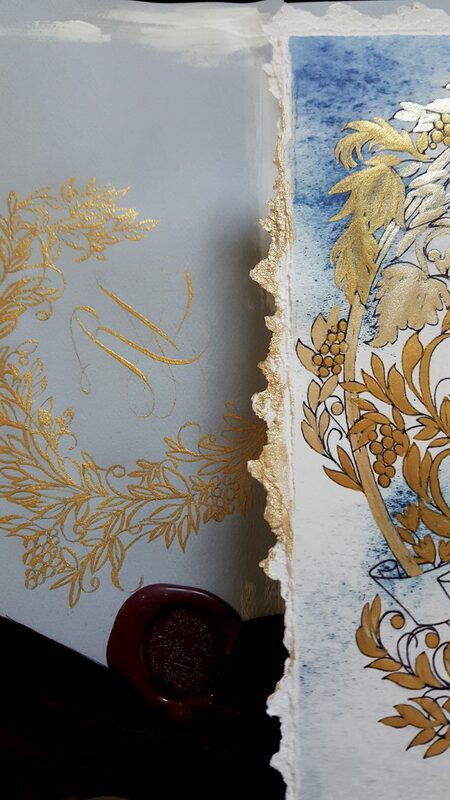 This luxury Italian themed wedding invitations design boasts of double luxury layers, soft blue watercolour washes, embellished with shimmers of gold calligraphy, hand painted edges, torn and deckled corners. 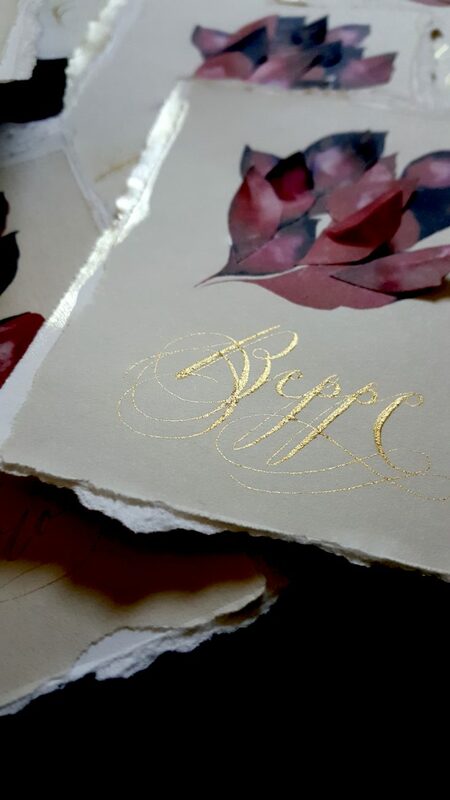 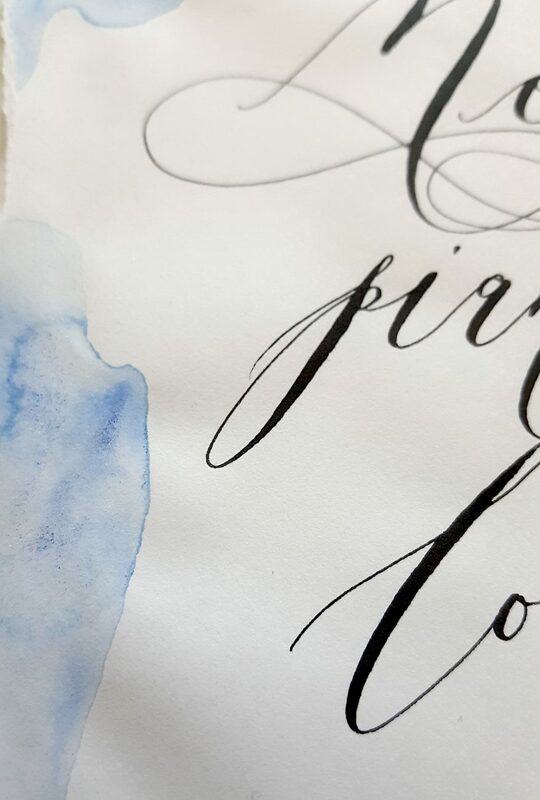 Watercolour place names are uniquely decorated with 2D hand cut leaves for the most remarkable statement for your Italian wedding. 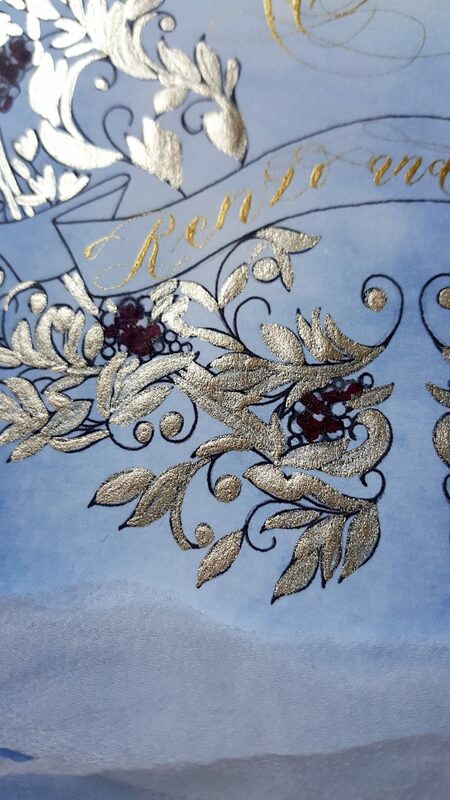 Gracefully finished off with lengths of hand cut silk chiffon and sealed with lavish wax seal stamps in burgundy and pale blue. 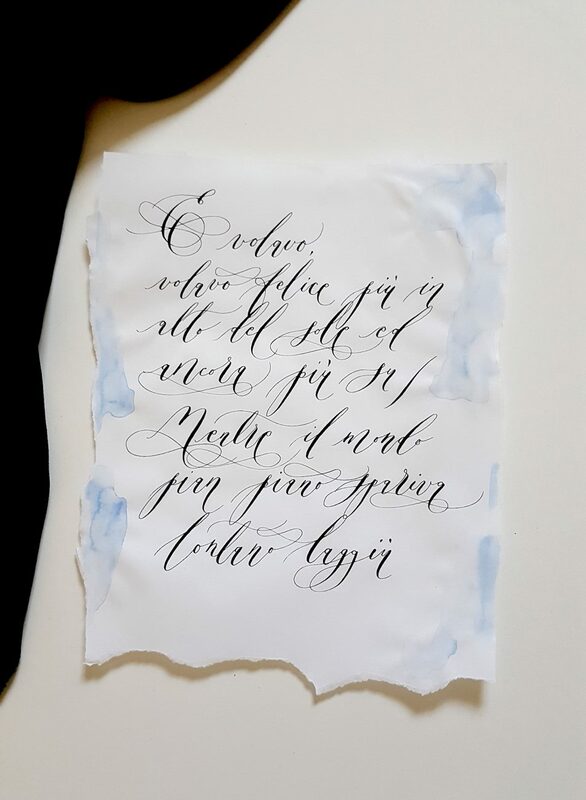 If you need any help or more information contact the designer here. 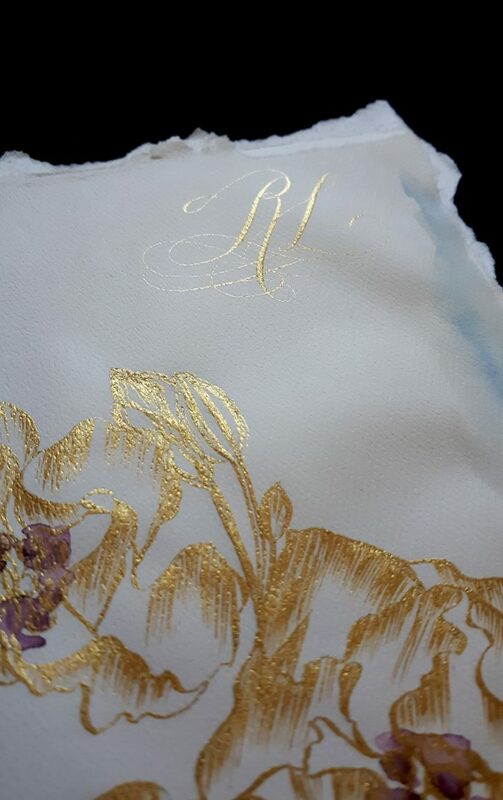 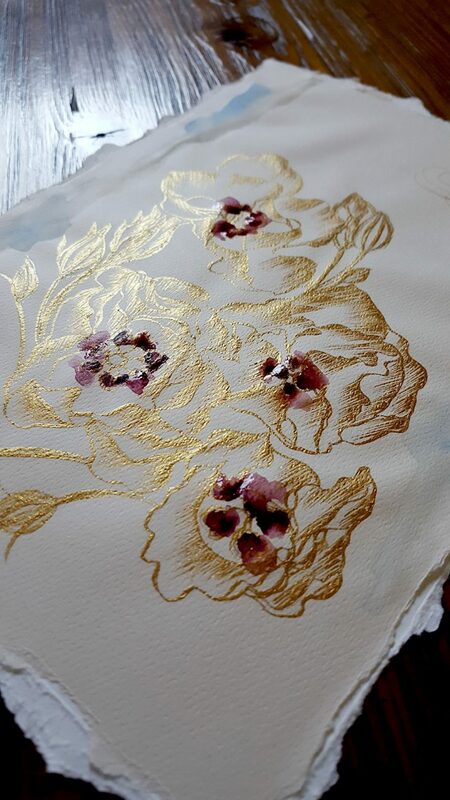 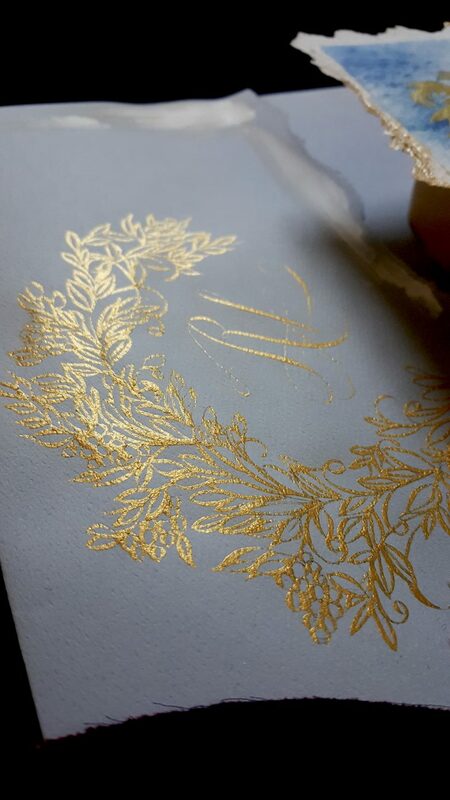 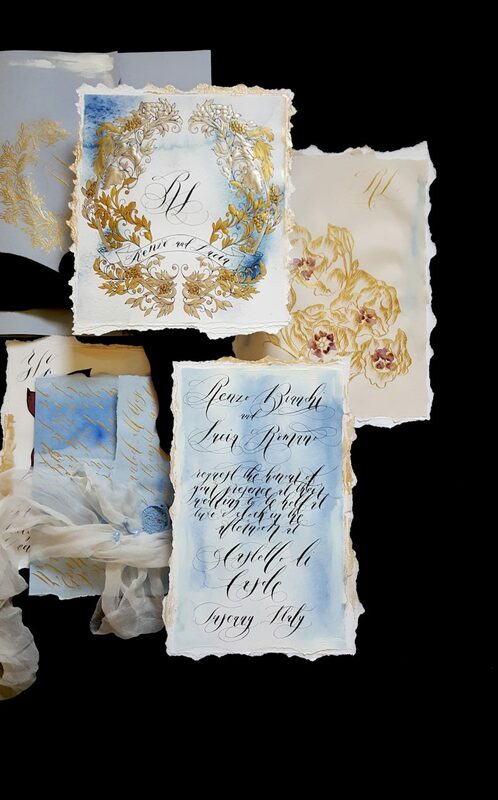 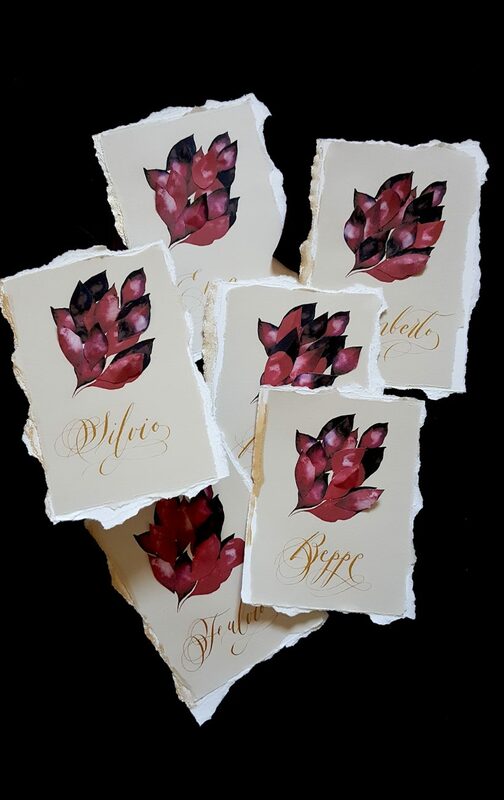 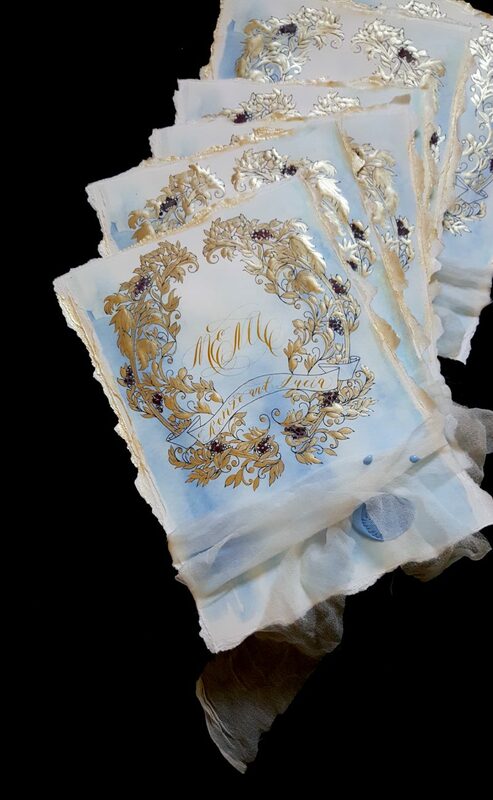 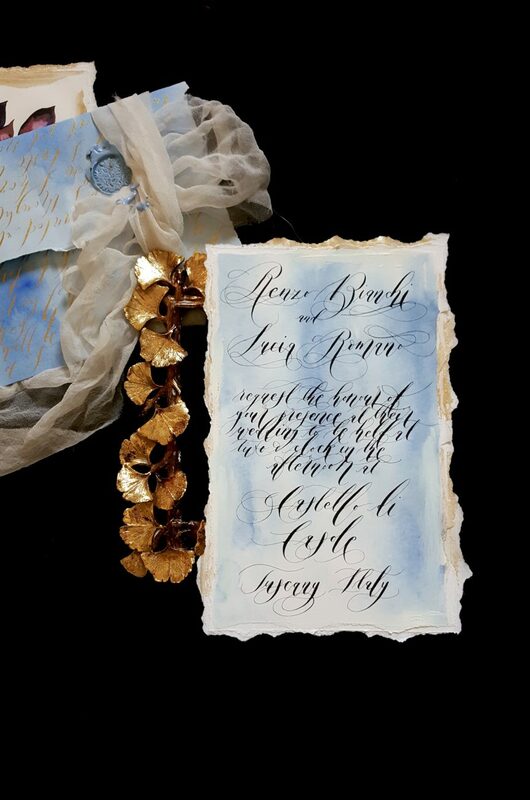 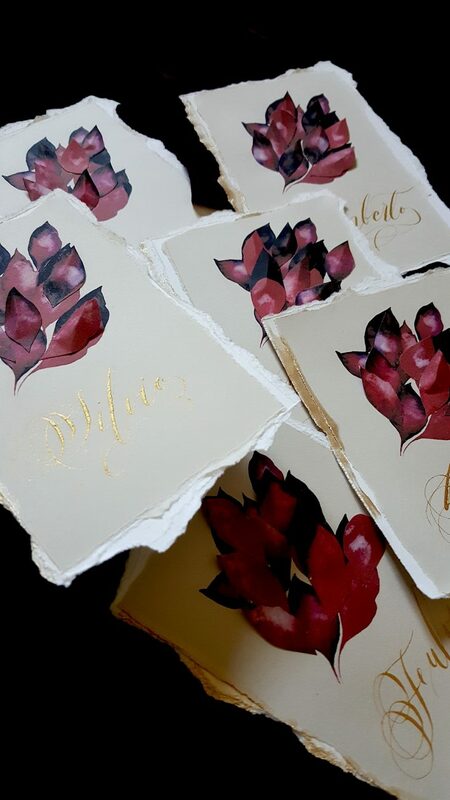 To view the full hand painted wedding invitation collection visit here.